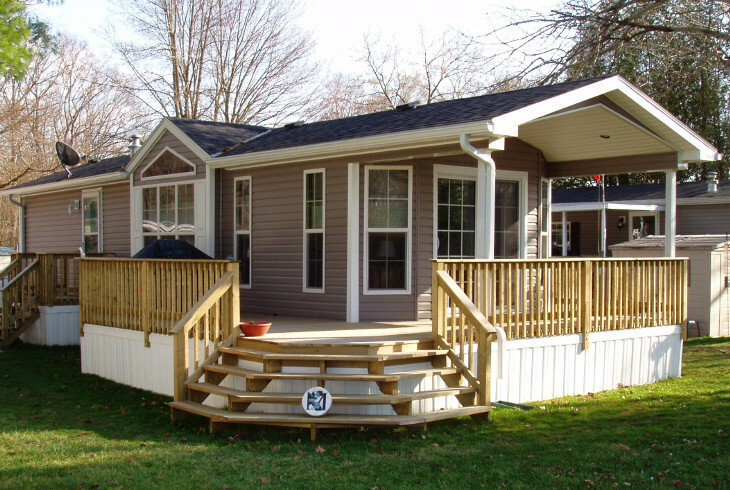 Adding a deck to your mobile home complements the design of the house. With many choices to select from, your mobile home should have this beautiful addition. 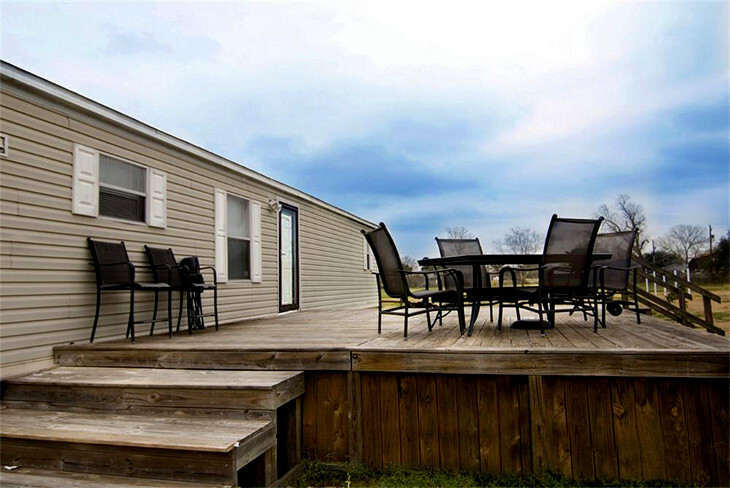 Mobile home decks offer your family a beautiful place to relax and watch the sunset together. You sip your morning coffee as the day breaks or enjoy a cold drink on those warm summer afternoons. 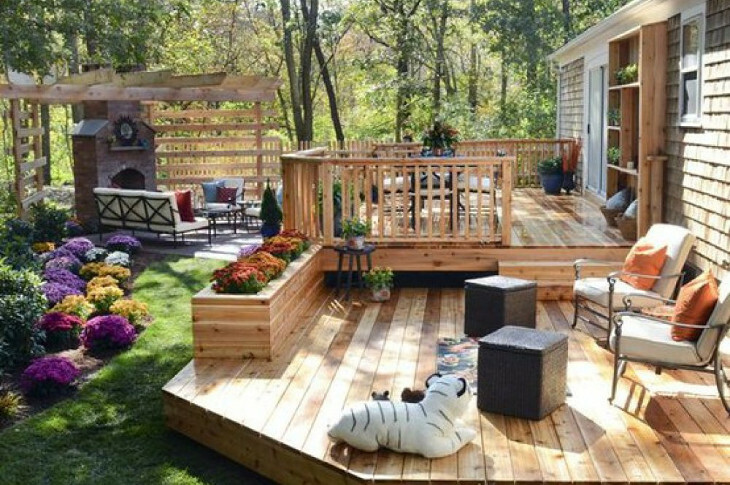 The deck provides an opportunity for your family to connect well with the outdoors. It also provides warmth for the family and depending on the shape and design, it can even serve as an extra room. It also complements your home and makes it more inviting. 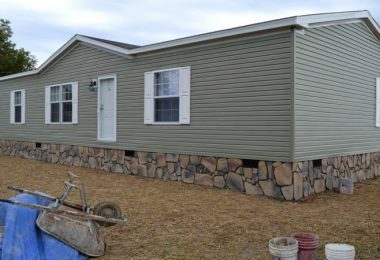 However, installing a deck to your mobile home is one thing, maintaining it is yet another. To ensure your deck maintains its great look and serves you better, we’ll provide some tips on how to maintain and keep it in excellent shape. 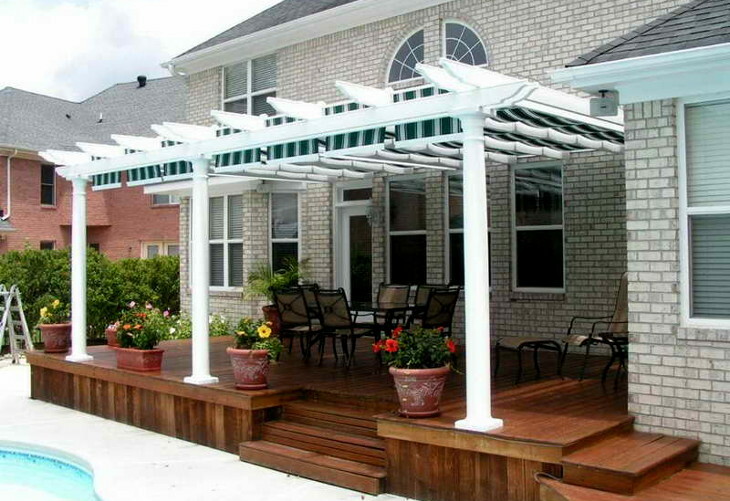 This ensures the deck is protected from the harsh climatic conditions and can last the winter. Here is detailed guide on how you can keep your mobile home deck in great shape. 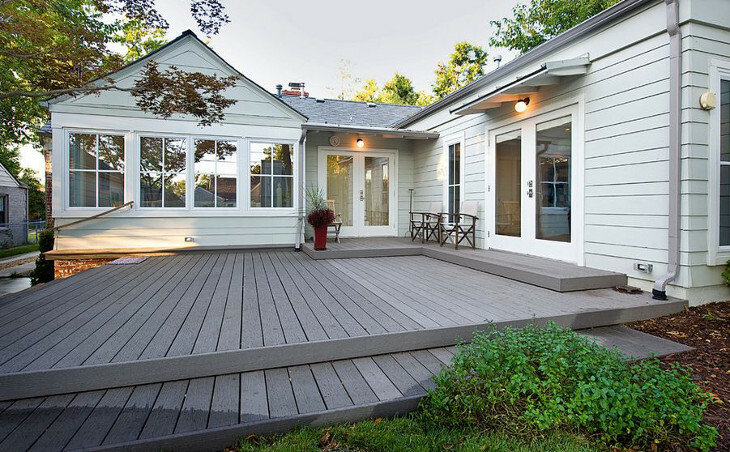 Before you decide on what ideas to incorporate in your deck, proper planning is essential. This will ensure you pick the right location for your deck. You do not want to start working on your deck only to realise the location you picked stands on the driveway. For decks that are not to be on ground level, chose a location which is secure and one that will give you privacy and a magnificent view of the neighbourhood. However, remember to avoid a location that will expose you to excessive noise, especially if you are in a busy neighbourhood. Check out for the direction of the wind when choosing a location. If you are in an area where the wind can get chaotic, it might be better to look for a location sheltered from the wind. Also keep in mind the direction of the sun and think about when you would like your deck to be facing in. In the morning, afternoon, midday, etc. This depends on where you are and what you plan to use your deck for. The height of your deck should be guided by factors such as your neighbourhood, privacy, security and the safety regulations in your area. If the deck is to be built on ground level, do not elevate it too high, especially if you want to shield yourself from those noisy neighbours. For an insecure neighbourhood, the same principle should apply. You do not want unwelcome guests watching your every step when enjoying your dinner with family and friends. Therefore, keep it as low as possible. However, in case you are in a beautiful quiet and secure suburb, you may want to enjoy the exquisiteness of nature. Raise the deck a little higher to enjoy this view. If your deck is off the ground like on the first floor of your house, you will enjoy a better view of the neighbourhood. A cool evening breeze will give your family a coastal kind of feeling. However, for elevated decks, a rail must be incorporated. This will make it safe for use. Chain railing. For an elegant and contemporary look on your deck, this type of railing will give you added safety, which is the primary reason for installing one, as well as an aesthetic finish. To fix this, talk to your designer. Metallic railing. Deck railings are available in different types of metal. Depending on your preference and budget, you can choose one that suits your needs. It will give your deck a complex finish and safety when enjoying your time. You can talk to your manufacturer for the best material to use on the railing. Vinyl railing. 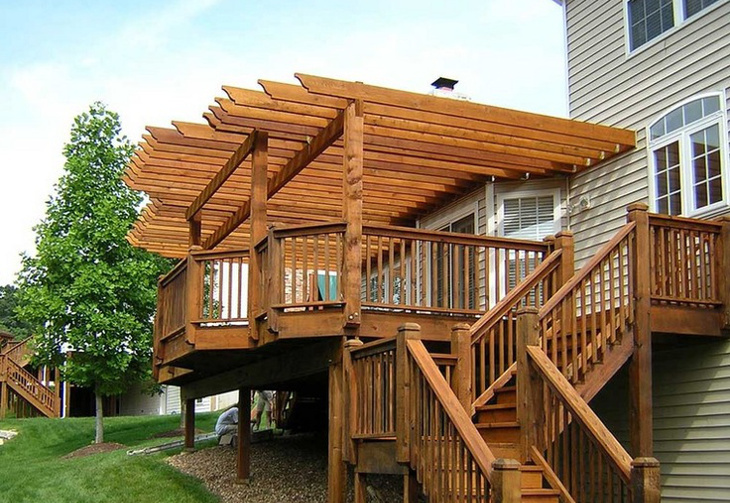 This type of railing will complement the entire outlook of your deck. They come in different shapes and colors so it is easy to choose a hue that compliments your outdoor decoration. They are also pocket-friendly and come with a manual for fixing. Therefore, you may not require third parties to help you fix it; you can do it all by yourself. Glass railing. To enjoy a magnificent view of your hood, this type of railing may be the best option for your home. Do not worry about having it broken. This type of glass is fortified and can withstand pressure. 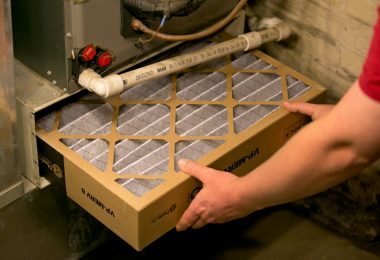 It will also require proper maintenance to keep it in great shape. Wood railing. This is simple and easy to maintain. However, to ensure it serves you well, go for quality wood. It can withstand the harsh weather conditions and can resist attacks from insects and fungus. When designing your deck, pay attention to the floor. You do not have to use the same floor theme as that of the indoors. Remember, the purpose of the deck is to enable you enjoy the great outdoor environment and even carry out activities such as barbeques. When choosing furniture for your deck, remember to go for comfortable and stylish furniture. Do not chose furniture that looks amazing but is uncomfortable to sit on. Consider the type of weather in your area when choosing furniture. If your deck is an open plan, choosing furniture that has cushions will mean carrying them inside the house and back to the deck every time you want to use them. This is pretty hard work that you do not need in your already congested daily routine. In this case, go for furniture that can withstand the weather and still be useful. However, if your deck has an enclosed design, you can go a little wild with the furniture. You can experiment with different types of pillows, cushions and incorporate patterns to compliment the furniture. Whichever you settle for, comfort should be the guiding principle. For a beautiful and inviting finish to your deck you will need to incorporate flowers and beautiful decor. To achieve this, you can incorporate different shapes of clay pots. They are available in beautiful patterns and colours to choose from. Go for pots that complement the rest of the deck. You do not have to add any flowers to the patterned pots; they are complete on their own. For the flowers, you can either use portable flowers or if the space allows, you can plant them around the deck. You can also try suspended baskets and fill them with flowers. To complete this look, plant trees around your deck. They will add privacy to your deck and also act as a sun block and wind breaker. Movable canopy. These come in different materials, shapes and colors. They are also easy to install and light to carry around. They will offer you shade from the direct afternoon sun and you can remove it to enjoy the evening breeze. Awnings. For a permanent shade for your deck, these will be perfect. They will turn your deck into an additional kind of room and can be used even during the night. Awnings are available in both fabric and aluminium. If you opt for the fabric type you have a wide selection to choose from. It is available in versatile patterns and bold colors. However, this will need replacing once in a while due to wear and tear. The fabric is also prone to fading and may lose its original color. The aluminium type may save you from repairs but you will be limited in color and designs. Pergolas. This will give you an option for a semi-shade kind of finish and still allow you to enjoy the outdoor feeling and a beautiful shade. If you are looking to maintain the outdoor look for your deck, this type of shade is ideal. 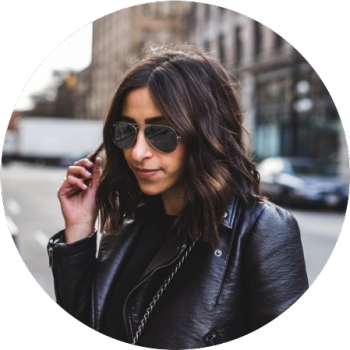 It is versatile and trendy and is available in different shapes and colors. Solar lighting. This type of lighting will provide adequate lighting to your deck at zero cost. If you are in an area with plenty of natural light, make use of it. Stair case lighting. If your deck has stairs, use this design to create a beautiful night-time look. Apart from illuminating the stairs, a zigzag or curved lighting pattern will add aesthetic value to the deck. However, remember to use energy saving bulbs to help you conserve energy. String lighting. 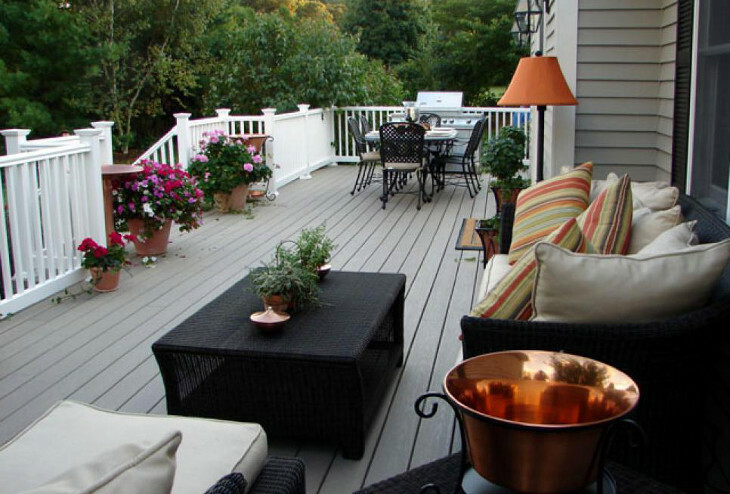 If you go for this option, your deck will achieve an appealing look effortlessly. They are available in different colors, which add the beauty to your deck and are often less expensive than other lighting options. For a complete look in your deck, landscaping is a must. You can do this yourself if you have a talent for curving out a beautiful landscape. However, do not try this if you do not know the tricks of landscaping. 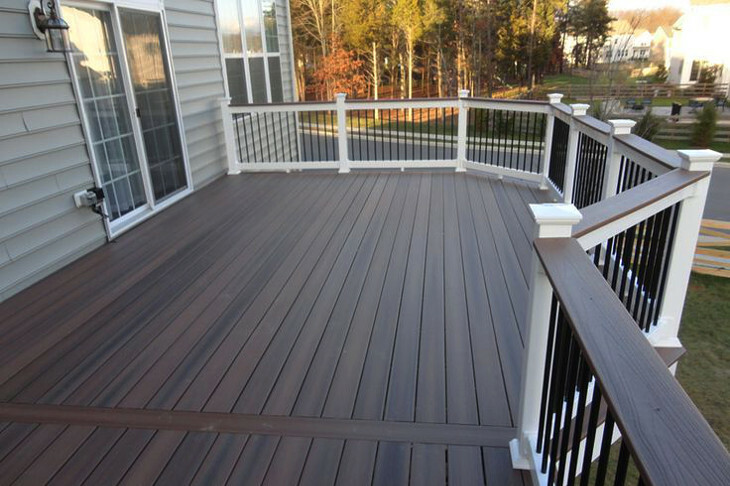 Work with an expert to bring out the best for your deck. A lush of green garden and well-trimmed hedges are some of the tips to try out. You can also add some bright paint along the path way of your deck. Surrounding your deck with a well-manicured garden are sure to add to its appeal. This is the game changer for your deck. Complete it with this piece of artistic furniture and rock away to dreamland. Enjoy the caress of the warm summer weather swinging on your rocking chair. With a rocking chair, you will not need a noisy and crowded pub to unwind after a long day at work. This will give you the magic you are looking for. Invest in one and enjoy great returns. To make sure your deck is in great shape, regular inspection is necessary. That old saying about a stich in time saves nine is still applicable to date. During inspection, you may notice an area that is rotting away. Make sure to replace it in good time otherwise it could spear and the entire deck will rot. This is especially applicable to wooden decks. Failure to inspect your deck regularly will result in massive damage and you will incur huge losses replacing the entire deck in the end. It can even result in accidents if the rot is hidden away as you could fall off the deck while enjoying a barbecue. After a rainy day, try and dry up the deck to minimise moisture from the deck. This will minimise decay. Dirt, whether inside the house or outside, is not a welcome guest. A dirty looking deck is ugly and will negate many of the reasons you got a deck in the first place. You definitely cannot enjoy a cup of coffee seated on a dirty deck competing with all manner of creatures for space. Your feet would also love the freedom and warmth of a clean surface to rest on. 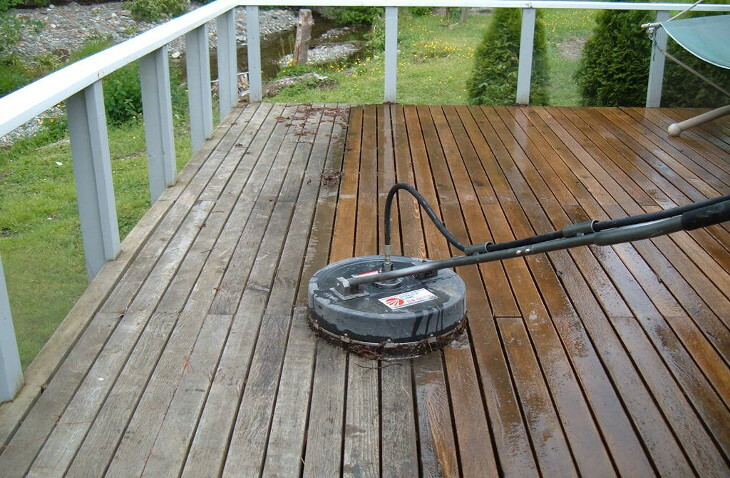 To ensure your deck is in tip-top shape, buy a special brush suitable for cleaning your deck. This will ensure the deck is clean and safe for use. If your deck is larger, a power wash will do a great job. For small to medium sized decks, you can use a hard bristle brush and it will deliver the results. While at it, consider wearing protective gloves for your hands. Once you have cleaned your deck, allow it adequate time to dry. This will depend on the weather conditions in your area. After it has dried up, use a sealer to give it more protection. Sealers are available in oil or water based forms. 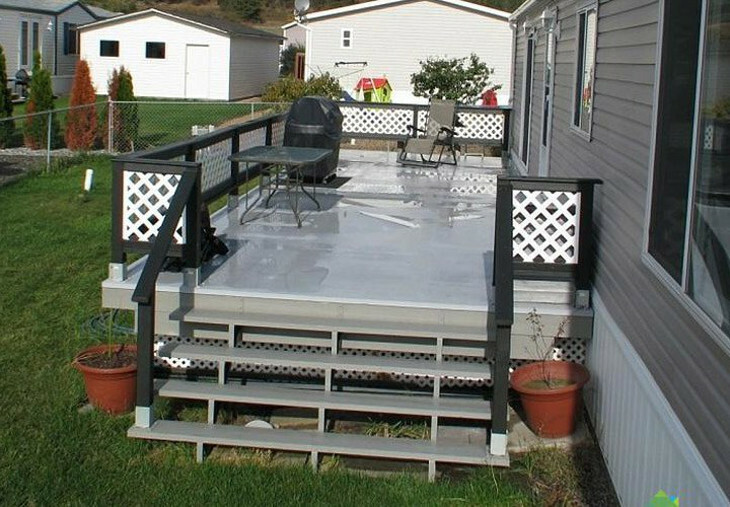 In case you are not sure which one to use for your deck, talk to your mobile home manufacturer; they will guide you. Once you have the sealer ready, cover the plants and the wall around the deck since the sealant can have negative effects on painted walls. Besides, you do not want your well-painted wall to take on another color other than your desired one. For the plants, you can add some canvas to ensure they are will be properly protected from the sealer. To achieve the best results when applying your sealant, use a brush to apply a coating of the sealant. Spraying is also an option but you may not have control over the extent of spray to your walls or the surrounding areas. Applying a sealant to your deck gives its protection from the harsh weather conditions, which makes it last longer. Choose a paint color that harmonizes with the rest of the home. 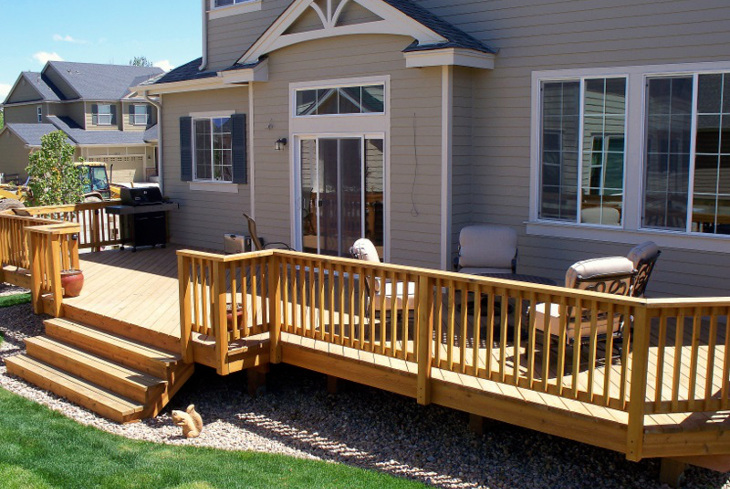 You do not want a deck to look like it’s just an afterthought piece that was attached to your home. Instead, the idea is to have it look like part of the home. However, in case you went for expensive types of wood when constructing your deck, you may not need the paint as it will conceal the natural beauty of the wood. 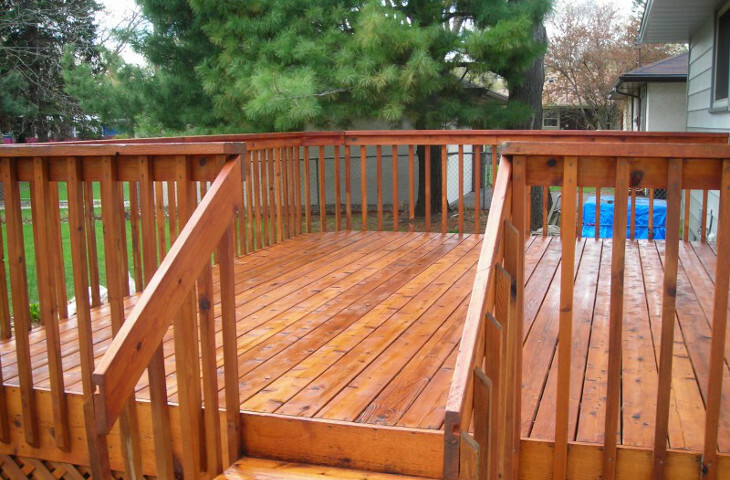 All you will need for this type of wood is a clear coat of varnish and your deck is left sparkling and attractive. In case you choose to paint, choose quality paint that will last long. You can be guided by your hardware store on the best type of paint to use. At least you will go to the hardware shop will an idea of what you are looking for. Searching online is also a good alternative. The paint you look for and eventually buy should:. Contain mildewcide to protect your deck against attacks. Due to continued use, the deck is likely to loosen up from time to time. Fix any nails that are popping out to ensure the deck is strong and can handle weight efficiently. In case the nail is rusty, do not just hammer it down. This is like taking a pain killer for a decayed tooth. The pain will not go way. Take the nail out and replace it with a new one. Rusty nails on your deck are also known to leave ugly stains on the surface of the deck. 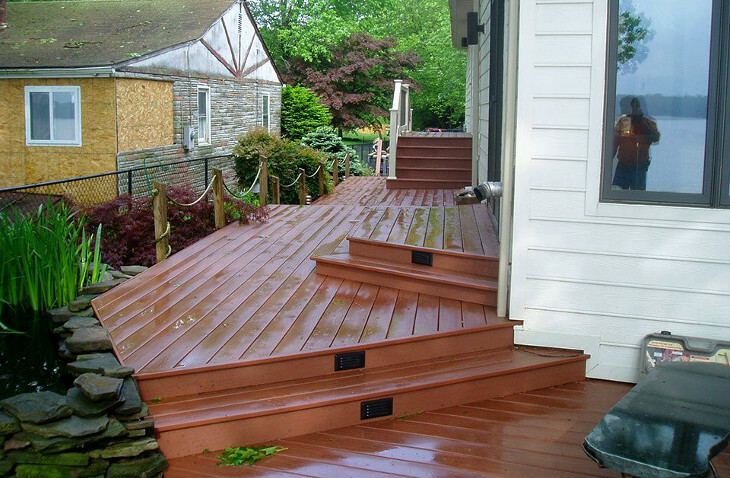 If the finish on your deck has seen better days, you no longer need it. It has already outlived its purpose and having it there negates the initial purpose for the paint since having patches of the deck with peeled off paint and faded patches makes the deck look ugly. To remove this coating, get a stripper. However, exercise caution when buying one. Some strippers can be really harsh and toxic to both the user and the environment. Go for a stripper which is eco-friendly and will not harm you. To get it right with this, be very specific to the seller when purchasing one. You can also involve a paint expert to guide you on this. Before you splash it all over the deck, test it on a hidden part of the deck to be sure you have the right product. Once you are sure you have the right one, use a roller or a brush to apply the stripper. Ensure the surrounding areas, such as the walls, are covered with canvas to avoid damage. If you have plants around your deck, cover them as well. Follow the directions of the manufacturer during the application process. Once you are done, remove the stripper and rinse the deck thoroughly with water and allow adequate time to dry. You can leave it up to 48 hours before applying the new finish. While doing this, observe safety. Ensure you wear protective gloves and that your eyes are also protected. Your deck is likely to develop dark patches as a result of exposure to sunlight or due to fungus attacks on the wood. This makes it lose its once beautiful sheen and look less attractive. You can have that shine back by getting rid of the discolored patches for an even look. To achieve this, all you need is your regular household bleach. Take a section of the discolored part and pour drops of concentrated bleach. If the dark spot disappears, dilute the bleach and get rid of the rest of the patches. Do not overdo this because it will leave out a dull-looking finish. However, if the discoloration was intense you may need to add a coat of clear vanish after the process. This will bring the sheen back. 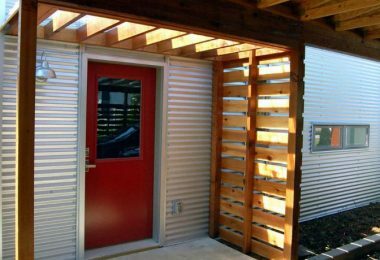 If you do not have deck in your mobile home already, it’s time to invest in one. With the tips discussed above you will add to the beauty of your home and will be giving yourself a new place to rest and relax at the house. Apply the maintenance tips discussed above to achieve the best results for your deck and enjoy a long-life span from your deck. So, what are you waiting for? Talk to your manufacturer and have a beautiful deck installed in your home. Have we left out any tips on how to maintain your deck or add more beauty? As usual we are always glad to hear from you. Send us your thoughts and any tips so we can share them and together turn our homes into paradise.